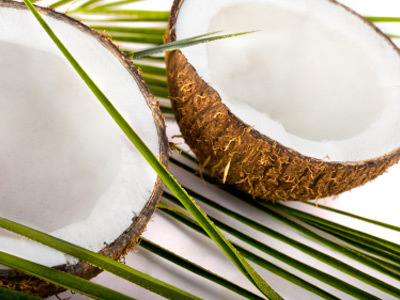 Scientists in the Philippines researched the effects of coconut oil and lauric acid on patients with the HIV virus that causes Aids. The results were amazing. Most of the Aids patients showed a dramatic drop in the HIV virus count, in some cases to “undetectable” levels. Of course, just about everyone worries about Alzheimer’s. It currently afflicts 5.2 million people in the US and is the seventh leading cause of death. The cost of treating it is estimated at $148 billion. They started him on Alzheimer’s drugs—Aricept, Namenda, Exelon—but his disease worsened steadily. (It should be noted that the latest research shows that the various Alzheimer’s drugs, like Aricept, have proven disappointing, with little real benefit and often distressing side effects.) When Dr. Newport couldn’t get her husband into a drug trial for a new Alzheimer’s medication, she started researching the mechanism behind Alzheimer’s. She discovered that with Alzheimer’s disease, certain brain cells may have difficulty utilizing glucose (made from the carbohydrates we eat), the brain’s principal source of energy. Without fuel, these precious neurons may begin to die. There is an alternative energy source for brain cells—fats known as ketones. If deprived of carbohydrates, the body produces ketones naturally. But this is the hard way to do it—who wants to cut carbohydrates out of the diet completely? Another way to produce ketones is by consuming oils that have medium-chain triglycerides. When MCT oil is digested, the liver converts it into ketones. In the first few weeks of life, ketones provide about 25 percent of the energy newborn babies need to survive. For more information, see Dr. Newport’s website. Sadly, you will not find any information on ketones, or the use of coconut oil or MCT oil, on the Alzheimer’s Association website.